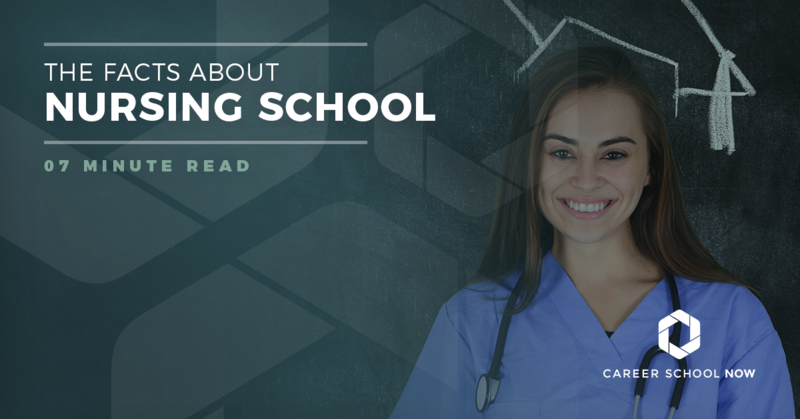 There are more than 100 different types of nursing professions to choose from, yet no matter which you decide to go after, you’ll still have to get into nursing school to accomplish your goal. You know there’s a huge need for nurses, but you are constantly hearing how hard it is to get into a program. Well, stop listening to rumors. Here are the facts about nursing school. There really is a large demand for nurses, especially as the majority of our population has reached an age where they need a good amount of medical care. And you desperately want to be a nurse, more than anything else in your entire life. Your whole world has revolved around getting into nursing school. Despite the need, and regardless of your desire, nursing school may prove it’s no easy task to accomplish. Long waiting lists are the most common hurdle many potential nurses experience when trying to get into nursing school. While you wait for your acceptance, you can knock out some of the course prerequisites. Any volunteer work or other types of experience you have in nursing or healthcare can also help expedite your wait time. You can become an LPN in as little as a year. An associate degree takes two years, but you can get your start as a registered nurse this way. A bachelor’s degree takes four years. To really move ahead in the nursing ranks, you must become an RN. From there, more options, such as nurse practitioner, open to you. Huge employment growth is expected for nursing careers through 2026, with close to a half million positions needing to be filled. The problem is, despite the projected growth for nursing careers, there are not enough nursing educators to go around. Which, in turn, makes it more difficult to get into a nursing program: If there aren’t enough teachers, the programs are cut back or completely closed. And because of the proclaimed nursing shortage, more people are wanting to go into nursing—only to find no programs they can get into. It’s a vicious circle. Acceptance rates vary depending on the school. Some schools will be much easier than others, with lesser requirements and higher acceptance rates. Getting into other schools is like winning the lottery—not very high chances. Some “easier” schools get a bad rep simply for the fact that their requirements aren’t as stringent. Don’t be fooled; the education you’ll get from many of these is still the real deal. You may hear it all the time when you mention you want to go into nursing: It’s tough. Getting in is tough; staying in is even tougher. But that doesn’t mean it’s impossible. Start well, keep on top of your studies, and you’ll be fine. Keep a minimum of a 3.0 GPA, depending on where you want to go. The better the school, the higher the required GPA. Many schools won’t look at a GPA under 3.7 nowadays. Research schools that make sense for your life, while you’re still in high school: Community college, trade school, or universities all offer a variety of nursing programs. Get quite a bit volunteer work under your belt; that stuff looks great on college applications and will help you learn. Have already taken medical terminology, and anatomy and physiology. This isn’t a requirement everywhere, but some schools will expect this before you start with them. Attend nursing information sessions at the schools you’re thinking of going to. Decide on a certificate, diploma, or degree, so you can apply to the appropriate educational facility. Take the test of essential academic skills (TEAS), which is required for enrolling in nursing school. It’s a standardized test, much like what you’ve taken all through your schooling career thus far. Some schools will overlook a lower GPA if your TEAS score is outstanding. Have interviews, called an eligibility review session, with the schools interested in you. This is used at a litmus to make sure you’re a match with the school of your choice. You’ll need to make sure your vaccinations are up to date, and you’ll need a copy of your background check to hand in. Know why you want to be a nurse. During the eligibility review session, this will be the first question asked of you. If, for whatever reason, you miss the application deadline or you don’t get accepted on the first try, you can always re-apply. A tip that many nurses share is to take a certified nursing assistant (CNA) course over the summer, and then work part time as one to keep gaining experience in the meantime. WHAT IF YOU END UP ON A WAITING LIST? It could happen. You might have what every nursing school wants, yet not all your stars align and you end up waitlisted. It just may be that the program is already filled, and you have been put on the nursing school waitlist in the event that someone (or many someones, depending on where you fall in queue) drop out. Definitely accept the spot on the waitlist; you can always decline it later. Go to a community college or trade school to get some of those prerequisites out of the way. Call the admissions office and let them know you’re really interested in attending the nursing program. Apply to a few more schools. Wherever you end up, whether it’s your first, second, or only choice, make sure the school runs an accredited nursing program, or you won’t be able to take the NCLEX upon graduation, the test you need to become licensed. You could ask 100 nursing students their thoughts on school, and you’ll get that many different answers. Like any program, it is what you make of it. You can only do as well as the amount of effort you put in. If school comes easy for you, then you’ll have an easier time. If you have always had to put a lot of concentration into your studies, then you’ll find your nursing program no different. But most people who enroll in a nursing program don’t drop out. The average retention rate for nursing school is over 90 percent. What does that tell you? HOW DO I PASS THE NCLEX? Study every single day, for weeks or months leading up to this exam. Know that there will be multiple choice questions that have many right answers. You’ll need to be able to pick out the “most right” answer, which means you really need to know the material. There are prep courses available both online and in the classroom. You can find a bazillion free practice tests to help you study. The test is computerized, so you don’t need to worry about having the proper writing tools. The questions are drag and drop, multiple choice, hot spots, and chart/exhibits. You need to answer 75 questions right, and every wrong answer adds a question to the end of the test with 256 questions maximum possible. It can take up to six hours to complete the NCLEX. Expect it to take around six weeks to find out your score. If you didn’t do well the first time, you can retake it after 45 days. Once you pass the NCLEX, you can start the job hunting process! In the end, getting a nursing job—especially your first one—will be based on your competitively high GPA and NCLEX score. Don’t wait another minute; get more information from local nursing schools today!